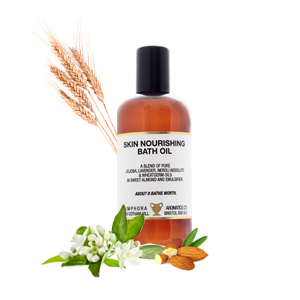 Skin soothing and nourishing oil have been especially mixed to help feed and nurture the skin. This oil contains Vitamin E and Jojoba which helps smooth wrinkles and fine lines. Jojoba Oil , Wheatgerm, Lavender Essential Oil and Neroli Absolute in Sweet Almond Oil.